It may have been all roses and snuggles for Jade Roper and Tanner Tolbert when they met on Bachelor In Paradise 2, but the real world is not so kind. The pair got married on television, but the wedding is the easy part — living together and growing together for the rest of your life takes a little work. That seemed to be the reason that Jade and Tanner joined Marriage Boot Camp: Reality Stars — they wanted to work on the foundations of their marriage so they could live happily ever after. 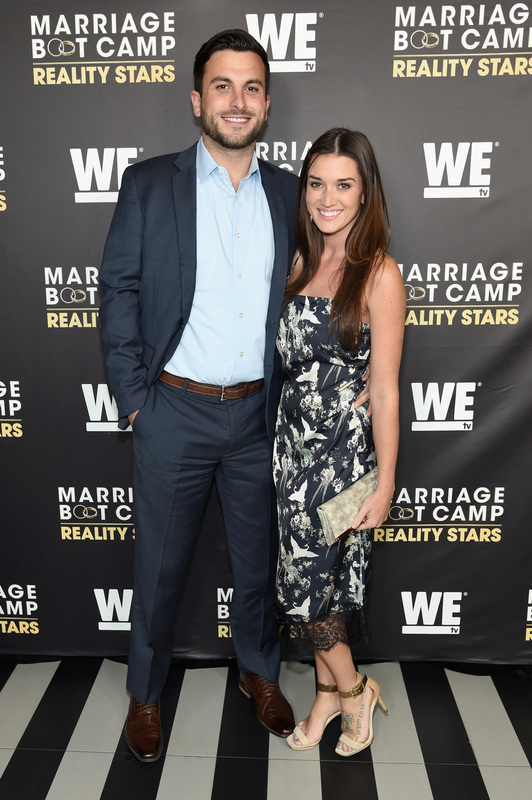 Now, though, it seems like Tanner has some issues on Marriage Boot Camp: Reality Stars that he’s not ready to work through, and these are issues that could destroy his marriage. In the exclusive clip below, Tanner is asked to break the chains of the feelings he has towards his parents over their own volatile relationship. When he can’t explain which parent he could forgive, Jade weepily asks him to open up and break down his walls because she can’t connect with her husband — she needs a “deep connection.” As he explains that he bottles things up in order to deal with them, Tanner walks away. Tanner, no! Open up to your wife! Is this the end of Jade and Tanner? I highly doubt it. They told People that this was sort of a post-marital counseling attempt. “We never got to do premarital counseling, because everything moved so quick with us, so we kind of viewed it as an opportunity to lay a good foundation,” Tanner said. “Little problems can turn into big problems down the road, so why not try to nip those in the bud early on?” And Tanner and Jade did move fast — they were engaged after three weeks and married after a few months. That’s not a lot of time to decide to get married, so the fact that they’re working on it now is admirable. I never thought that logic and love went together in terms of The Bachelor, but these couples are certainly trying to make their love lives work. A relationship takes a lot of effort, and even though Tanner seems to have some trouble working through his issues, at least he and Jade are trying.